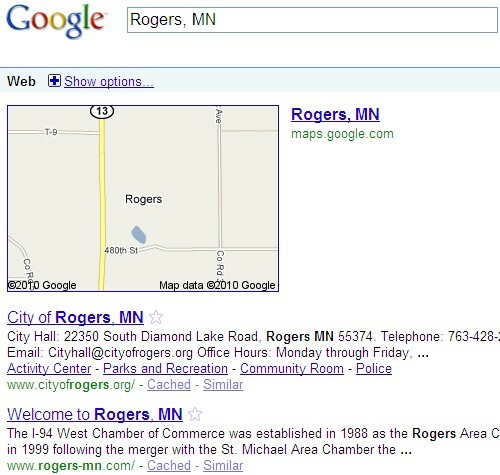 Reports posted at Search Engine Roundtable yesterday say that the city of Rogers, Minnesota has literally disappeared from the map. Google Maps, that is. 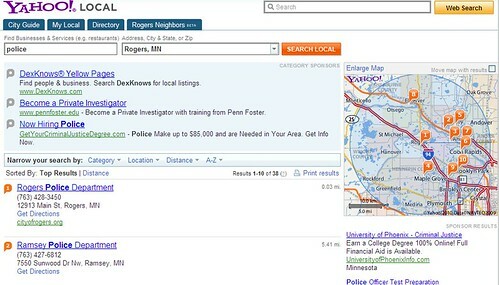 As the following screenshots show, a search for local business listings and even emergency services do not show up in when searching for them on Google local site. (Click on the graphic for a larger version). While this glitch is amusing, the absence of local listings at Google could present significant loss of business if the problem persists. People are increasingly relying on local search in general and map search in particular to find businesses near them.